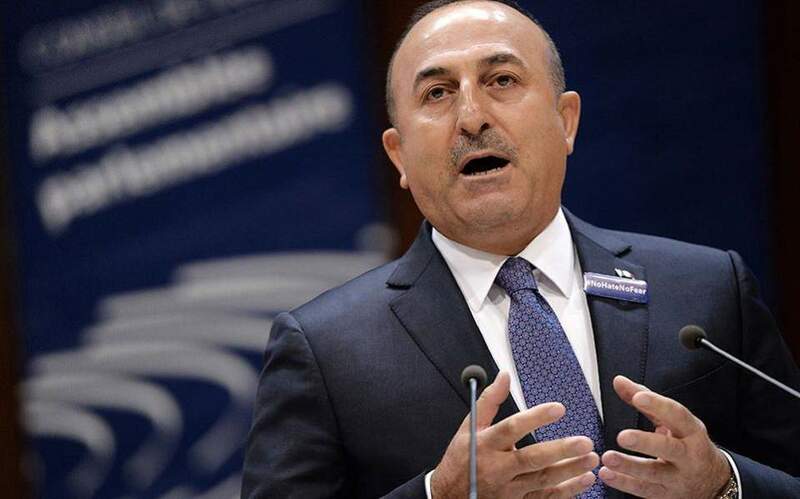 Turkey’s Foreign Minister Mevlut Cavusoglu has accused Greece of escalating tensions in the Aegean and Mediterranean seas, claiming that Turkey has always stood by Greeks in their times of difficulty. The claims came amid reports of Turkish vessels harassing Greek fishermen and following the announcement of a freeze in confidence-building measures over the detention of two Greek soldiers in Turkey. “In their difficult days, we are always at their side. But in the Aegean and the Mediterranean, they are again increasing tension. They do bizarre things which are not acceptable. Don’t we all want the Eastern Mediterranean to become a region of peace and prosperity?” Cavusoglu told the 10th annual Ambassadors’ Conference in Ankara. He also called for a new process to resolve the Cyprus issue, blaming Nicosia for the impasse. “In order to reach a solution in Cyprus, a new process must be launched. Greek Cypriots do not want to cooperate. And this we saw last year. We saw it in Geneva, we saw it in Crans-Montana,” Cavusoglu said. And “Greece is no different,” he alleged. Concerns are mounting over Ankara’s plans to drill for gas deposits in the Eastern Mediterranean and possibly within Cyprus’s exclusive economic zone.